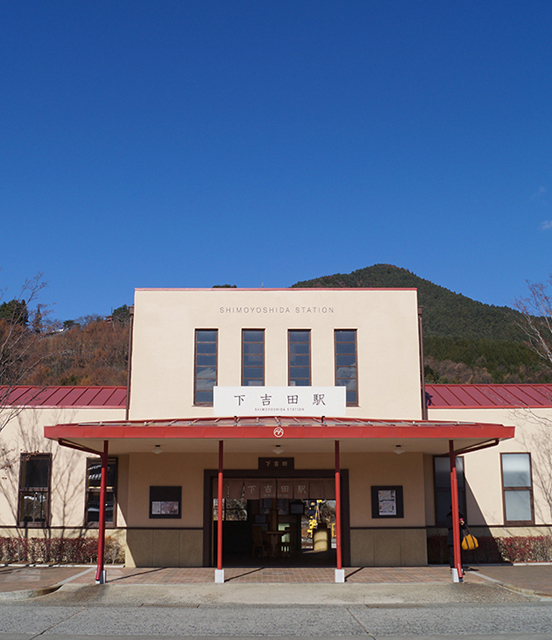 Station of Fuji Kyuko which was opened in 1929. In 2007 it was renewed, but remaining a retro atmosphere. 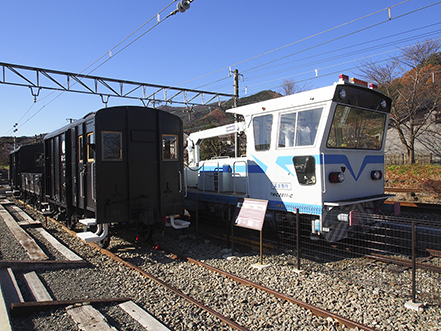 Sleeping car of yesteryear Blue Train "Fuji" is exhibited on the premises, it is open to the public as a recreation office as "Blue Train terrace". 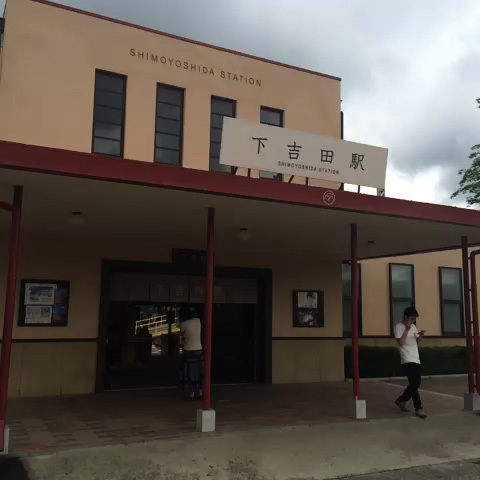 The cafe Shimoyoshida club seems a mini railway museum are exhibited and sold in the Blue Train goods.